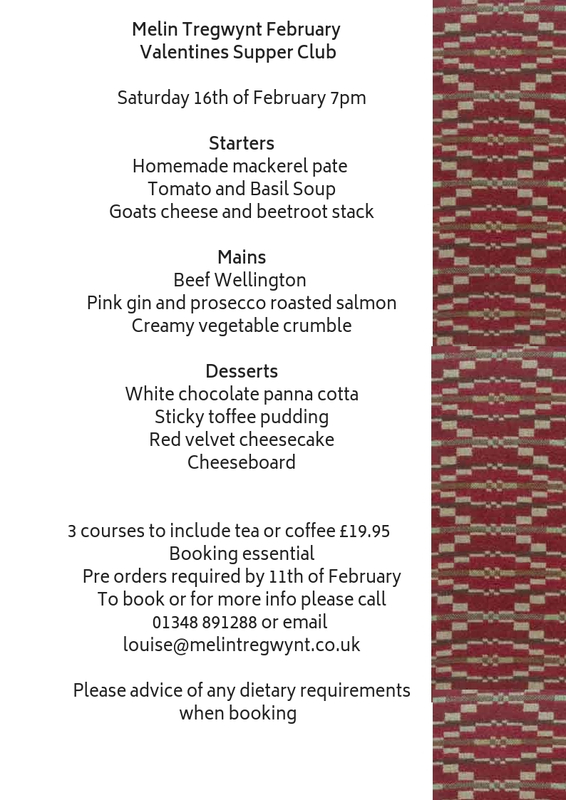 Come and join our February Valentine Supper Club on Saturday February 16th. The cost is £19.95 per person for three courses, with tea or coffee and drinks available separately. Our café is fully licensed with a range of Welsh lagers, beers and spirits available and wine by the glass or bottle. If you can't make this month’s evening event, don't panic, you can always join us for Sunday Lunch at the Mill (every Sunday between 12:00 - 3:00 pm). It’s very popular so to make sure of a place call 01348 891288 and book a table.